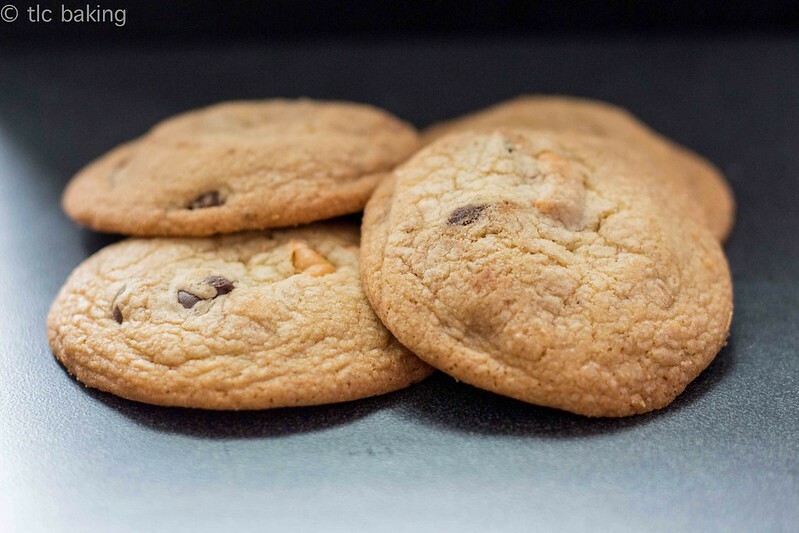 dark chocolate + butterscotch chip cookies [tracey’s culinary adventures] – tlc. | tender love and cupcakes. Who doesn’t love a warm, chewy chocolate chip cookie with a tall glass of cold milk? There’s something so simple, so childlike and comforting about milk and cookies. And sometimes–most of the time–dining hall cookies just don’t cut it. 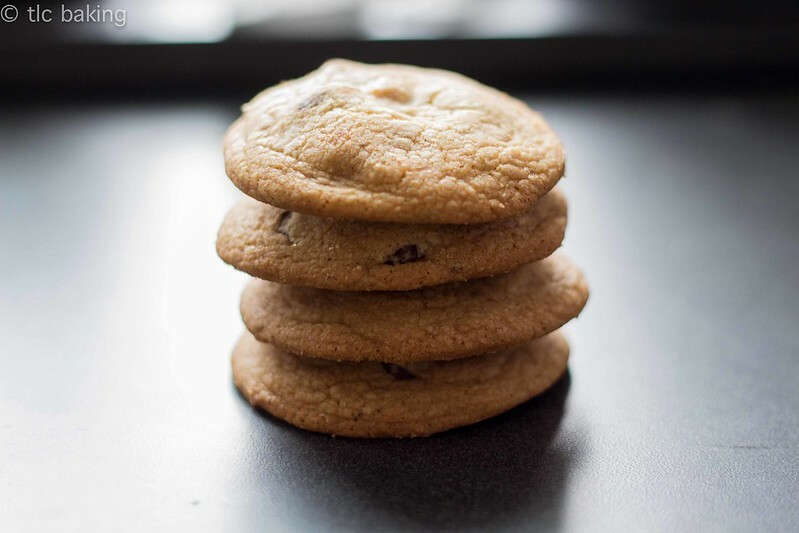 So I took matters into my own hands last week and turned to my absolute favorite chocolate chip cookie recipe, from Tracey’s Culinary Adventures. I’ve been using this recipe for a while now. It’s my favorite for two reasons: 1) brown butter. ‘Nuff said. 2) Everything is whisked by hand, so there’s no need for a stand mixer or a handheld blender or really anything more than a stovetop, a heatproof bowl, and a whisk. It’s extremely conducive to dorm baking. The only change I made was replacing the 1 1/4 cups of semisweet chocolate chips with 1/2 cup dark morsels and 1/2 cup butterscotch chips. The slight bitterness of the dark chocolate, the nutty toffee hints from the browned butter, and the creamy sweetness of butterscotch all combined in a chewy, buttery explosion of flavor. The only reason I still have a couple left? They’re too good to finish. 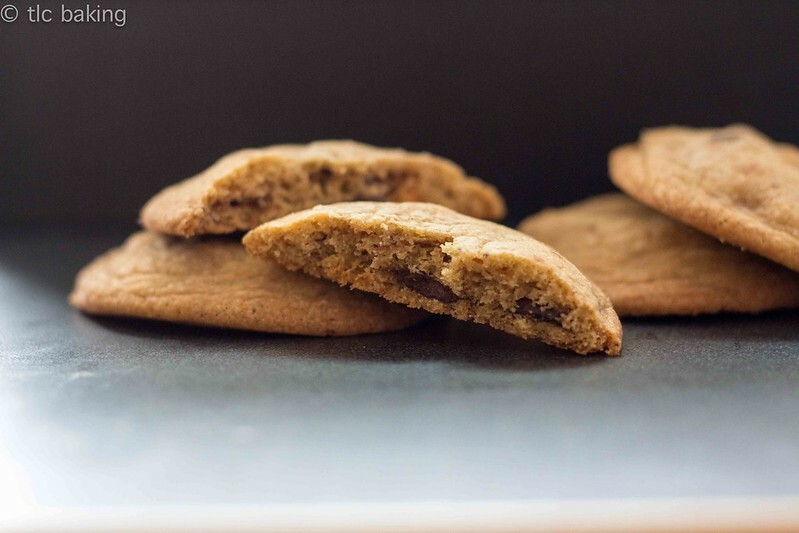 Way more than the butterscotch or dark chocolate, it’s the brown butter in the base that makes these cookies so delicious–and so different from most other chocolate chip cookies. I’m sure you could throw just about anything into this dough, and it would taste fantastic. A last note on the baking: err on the side of taking the cookies out too early if you really want them to be chewy. They won’t get hard even after about 13 minutes, but they won’t be quite as soft as they could be. And if you want them thicker than the ones I made, after you portion the dough into balls, freeze it for a couple hours before baking. It works wonders.